The extinction event that no Games Workshop fan ever thought would happen in the table top genre has arrived on PC for the first time ever. Warhammer: End Times – Vermintide is not just about mindless destruction, mayhem, and violence. It is about the end of the old world in Warhammer Fantasy that we know and love. Anyone that plays this game is going to die. 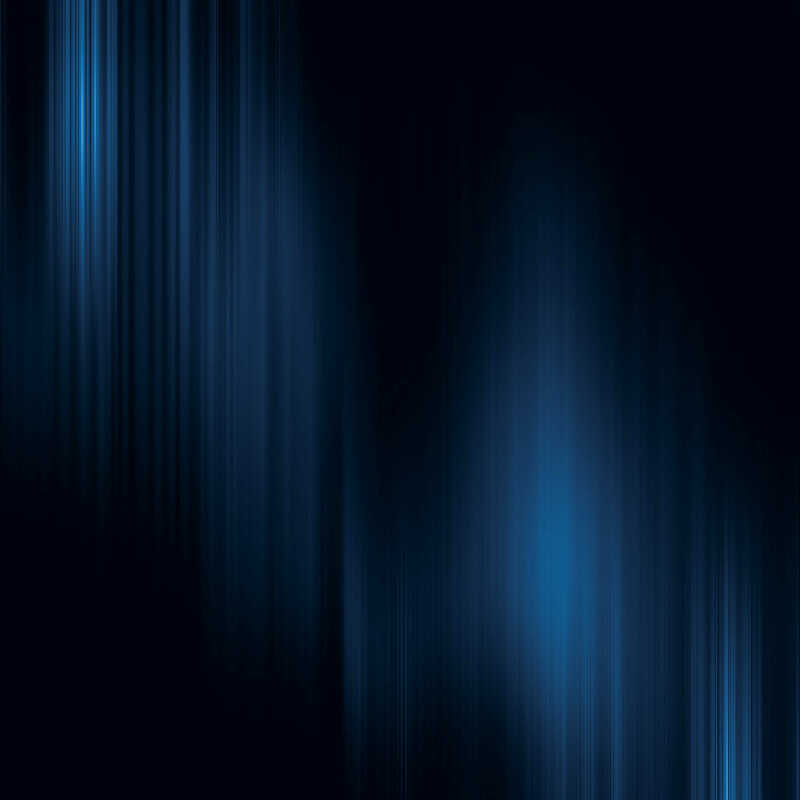 It’s not a matter of if, but where, when, and how you will die. Everyone is always looking for a way to cross market their ideas, and I think that Fatshark Games nailed it. The incorporation of two genres, Warhammer Fantasy and Left For Dead. It’s been six years since we have had a proper Left For Dead game. I say it’s about time! 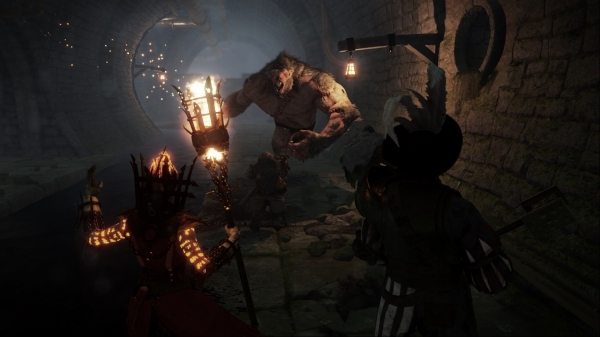 Warhammer: End Times – Vermintide is a first person co-op action and adventure game. It is the end of the old world as the Skaven destory and overwhelm everyone of the realm. 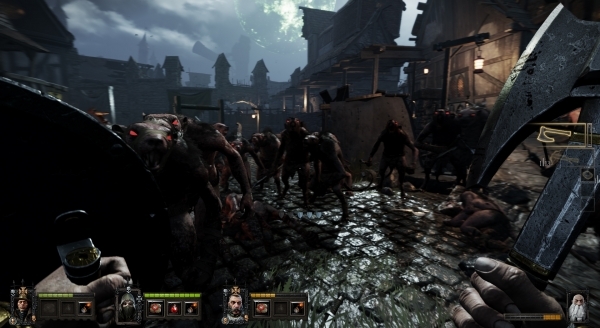 In this horde-style game, the player will assume the role of one of five playable heroes tasked with the defense of Ubersreik, a town of the Empire, against an insurmountable horde of Skaven in the invasion and extinction event of the realm. The five playable classes are Victor Saltzpyre the witch hunter, the dwarf ranger Bardin Gorksson, Kerillian the waywatcher elf, a bright wizard named Sienna Feugonasus, and last but not least, a lowly Empire foot solider named Markus Kruber. Each hero has customization and a unique play style. You will want to play the character that best suits your playstyle. My personal favorite was using melee weapons with the dwarf ranger. Even his view is lower to the ground in comparison with his counter parts. I loved that attention to detail. I think Warhammer: End Times – Vermintide has the best loot and crafting system ever attempted in this style of game. Also there are ways that the player can make the game harder while in game and then be rewarded for it at the end of the adventure on the loot screen. It feels extremely rewarding when your entire team works together and everyone helps to improve the chances of the team for loot rewards at the end. Describing the adventure and combat of this game is simple. See Left For Dead and Left For Dead 2. If you didn’t enjoy those two games then you may want to pass on this one. It’s that simple. Play with friends not with bots. 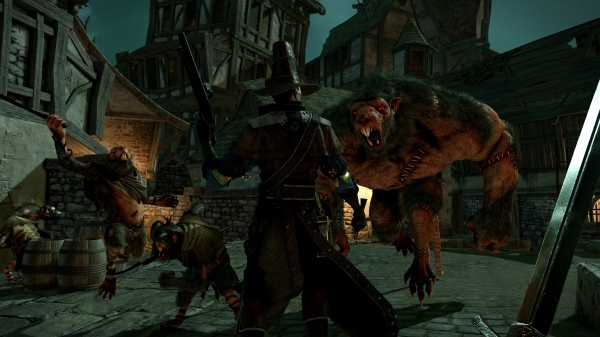 Warhammer: End Times – Vermintide was intended to be played in a party of four with friends. The bots are not bad, but they are not great either. Also, the bots will not help you earn better rewards at the end of the adventure. Playing this game with bots is simply sub par. Don’t do it. If you are a solo player, be forewarned that the experience may be lackluster, unless you are fanatical about your Games Workshop PC games. 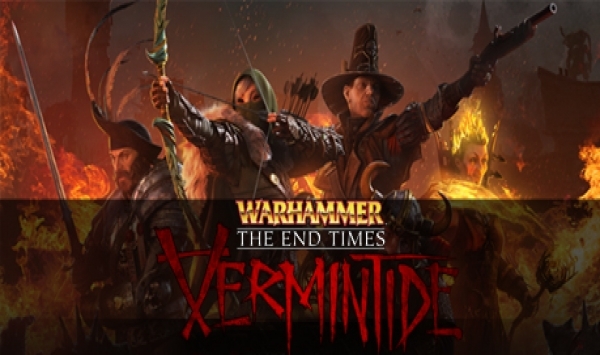 Warhammer: End Times – Vermintide is available for Steam PC for $29.99. For this being a Games Workshop licensed game, that price point isn’t bad. However, you may want to take into consideration that Left For Dead and Left For Dead 2 are only $19.99 separately, so if you find Vermintide cost prohibitive, those would be a decent alternative still. This entry was posted in PC, Post, Reviews and tagged action, adventure, End Times, Fantasy, Fatshark Games, Games Workshop, Saint Killjoy, Travis Patterson, Vermintide, Warhammer. Bookmark the permalink.